Dr. Ann McHale is pleased to be able to offer beautiful smiles to her neighbors in Phoenixville and the surrounding communities. Dr. McHale earned her Bachelor of Science degree in Biology from Penn State University prior to completing her Doctorate in Dental Surgery at the University of Texas Health Science Center in Houston. Before entering private practice in Houston, Dr. McHale served a general practice residency affiliated with the Univeristy of Texas at the Veterans Affairs Medical Center of Houston. This residency allowed her to gain clinical experience at multiple hospitals in the world-renowned Texas Medical Center including; M.D. Anderson Cancer Center, Memorial Hermann Hospital and the VA Medical Center in Houston. Dr. McHale's experience also includes serving as a Clinical Instructor of Restorative Dentistry at University of Pennsylvania School of Dental Medicine. Dr. McHale has taken numerous postgraduate education courses, specifically focusing on operative dentistry and esthetics. Her training in functional esthetics at the Dawson Institute allows her to offer you restorations that blend form and function for beautiful and stable results. 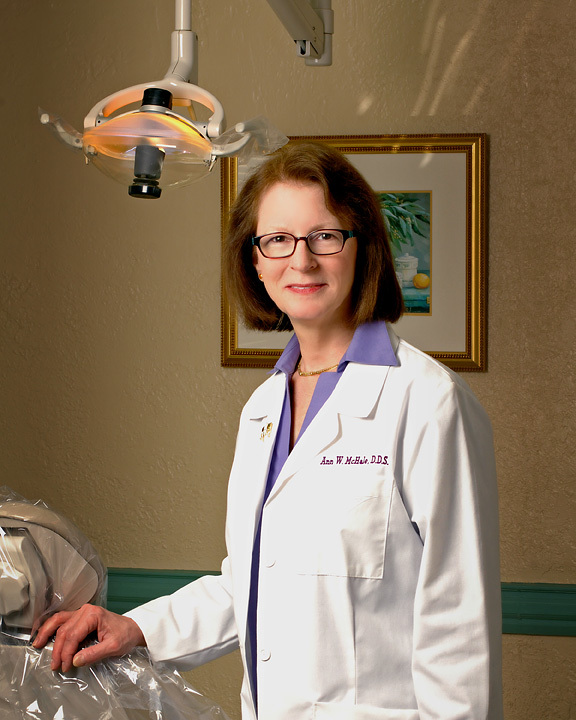 Her commitment to lifelong education means constant evaluation of emerging dental methods and technologies to provide the best results with an emphasis on comfort, ensuring the highest level of care both today and tomorrow. Dr. McHale is a member of the American Academy of Cosmetic Dentistry, the American Dental Association , the Pennsylvania Dental Association, the Montgomery-Bucks Dental Society, the Philadelphia County Dental Society, and has earned her fellowship in the Academy of General Dentistry. She and her husband Bill have one daughter. In her spare time, Dr. McHale enjoys gardening, orchid growing, reading and traveling. I appreciate the time you’ve taken to visit this site and find out more about my practice, my team, and the many services we can provide to help you achieve optimum oral health."